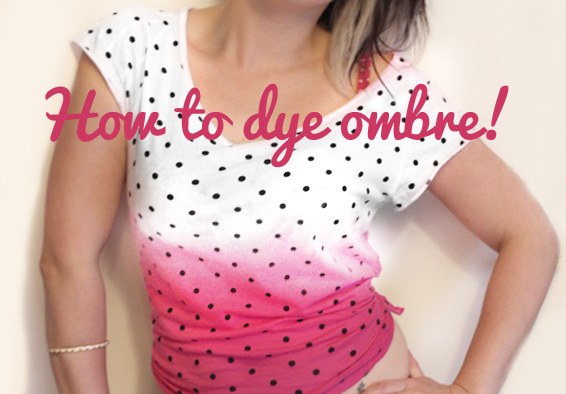 DIY: How To Dip Dye Ombre! 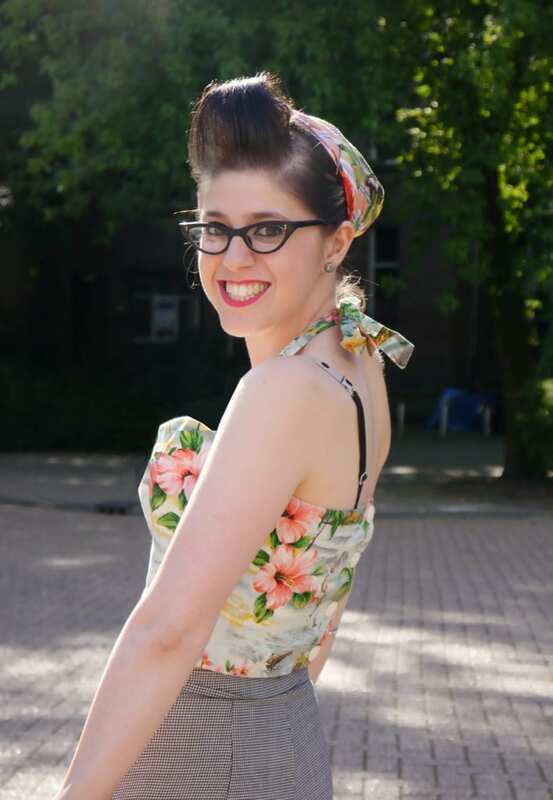 Hooray for the Summer! We can’t wait for festival season to be upon us. Being in the sunshine and listening to some good tunes is what the middle of the year is all about! To get in the spirit of things (and be prepared for the big day!) 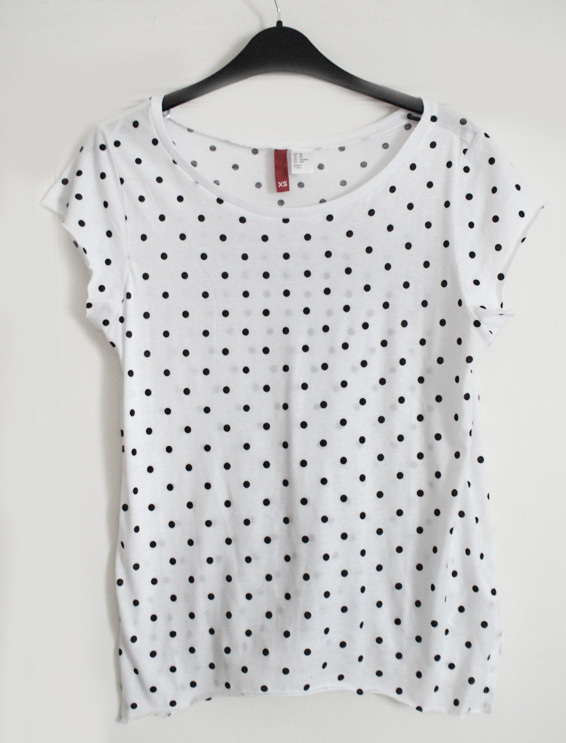 I thought I would share a DIY that would turn your old tees into super stylish ones in less than £5. Ombre? Oh yeah! 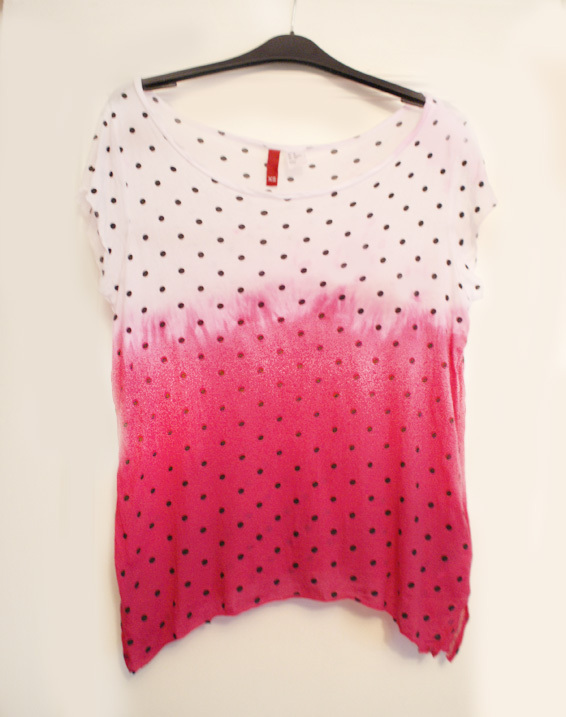 All you’ll need is an old t shirt and some fabric dye. 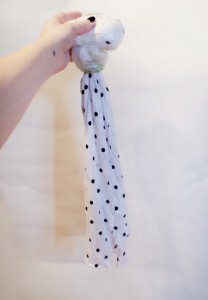 Cotton dye’s best, but you can do this with a lot of other fabrics too like linen and viscose. Make sure to check the back of your dye packet to see what it’ll work best on. 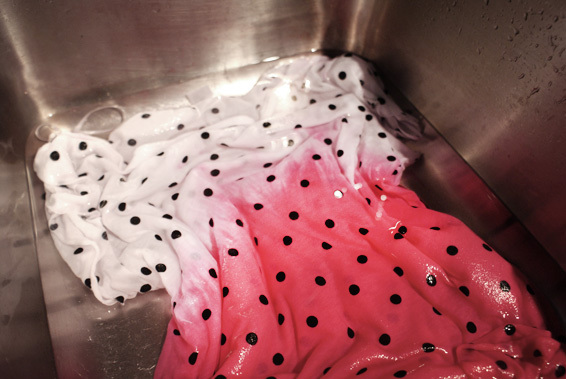 Mix up the fabric dye according to the instructions. For mine, I needed 5 tablespoons of salt and about 6.5 litres of warm water. 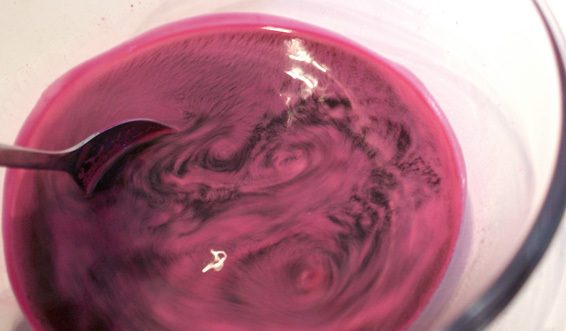 To be able to this project you’ll need a big glass bowl or steel pot for mixing your dye in, otherwise it will stain! I worked in my sink in the end… in an old tshirt in case any of it splashed on my clothes! The best way to dye anything ombre is to work out how high you want the dye to rise to, and cover anything else in a plastic bag so it doesn’t get splashed. 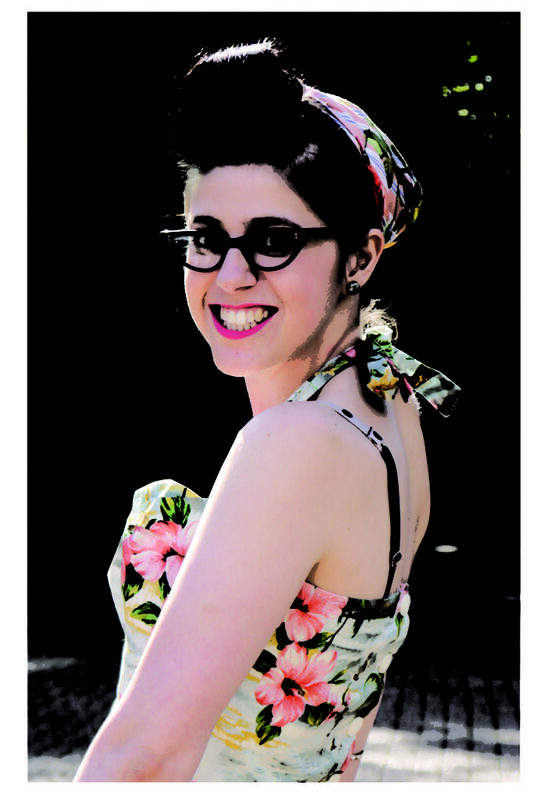 Then plunge it into your dye and keep it moving by prodding it with a metal spoon for about 10 minutes. 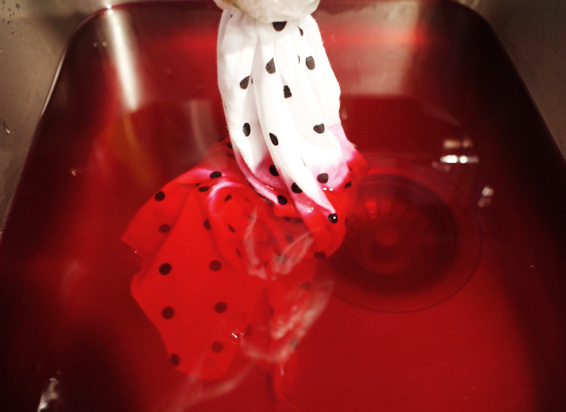 You want to make sure the dye doesn’t get caught in any folds and inks up nice and even. When you’re happy with the colour, you need to rinse all the dye off. Start with a good blast of cold water all over then rinse it out with warm water till the water goes clear. This took me about 20 minutes or so – you have to be really thorough to make sure you don’t turn pink! When you’re done, hang it up to dry and admire your handy work! Spot on trend and you have money left to buy yourself a celebration drink. Good times and happy days! great idea to revive the old into something new! Thanks so much Meagan Lea! Now that’s dedication! It turned out so cute! Upcycling is such a great way to keep something you love and get something “new” at the same time. Great idea. Your shirt is really cute. Thanks so much lovely! Ooooh! That is such a cute idea 😀 I would love that!